1993 Adopted the Law "On the State Border of Kazakhstan"
2004 Signed a decree on the state program "Cultural Heritage"
Adopted the Law "On the State Border of Kazakhstan"
The President Nursultan Nazarbayev signed the Law "On the State Border of the Republic of Kazakhstan" aimed at regulating the relations in the field of protection of the state border. The law aims at improving the legislation on the state border, as well as at a clear separation of powers and functions of public authorities in this field. This document merged the laws On State Border of the Republic of Kazakhstan" and "On the Border Service of the National Security Committee of the Republic of Kazakhstan" into a single law. It has a glossary which provides the definitions of such concepts as "border security", "border incident" and "categorization of the state border." As noted by the relevant committee, the law defines the conditions and limits of application by the competent authorities of Kazakhstan the weapons and military equipment, special equipment for tasks to protect and conserve the state border. In addition, this law provides the establishment of the State Border Commission as a part of the Government, in order to develop proposals for the formation of border policy. It is planned to form a coordinating council as a part of the Akimats of border regions, in order to promptly address the issues of border security. Signed a decree on the state program "Cultural Heritage"
State program "Cultural Heritage", which is planned for 2004-2006, was signed by the President of Kazakhstan on January 13, 2004. 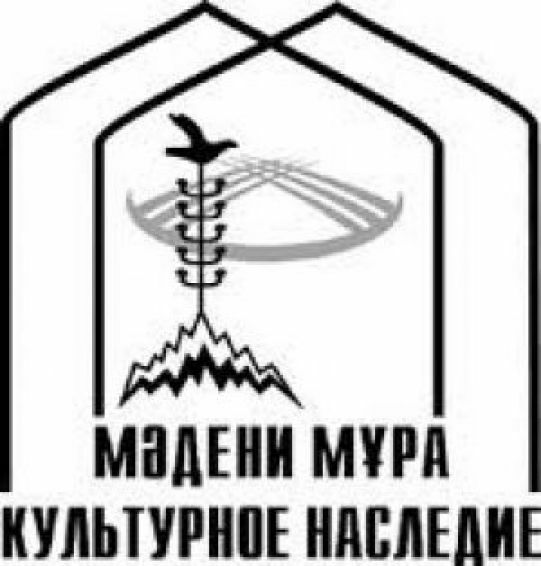 The state program was adopted for the development of spiritual and educational sphere, providing the safety and effective use of the cultural heritage of the Republic of Kazakhstan. It was organized in the late 1925 in the city of Kyzyl-Orda, the capital of the Kazakh Soviet Socialist Republic. The theater was opened on January 13, 1926 with a play "Altyn saka" ("Golden cue") by the Koshke Kemengerov. In 1928 the theater was moved to Almaty due to the transfer of the capital. Since 1937, the theater was awarded the Academic title and since 1961 it was named after Mukhtar Auezov. The founders of the theater were the masters of folk art and amateur performances: A. Kashaubaev, K. Dzhandarbekov, K. Kuanyshpaev, S. Kozhamkulov, E. Umurzakov, I. Baizakov, K. Badyrov, K. Munaitpasov, J. Shanin, F. Ashkeeva, Z. Atabaeva, Sh Baizakova, M. Shamova etc. The monument of Mukhtar Auezov in front of the Kazakh Drama Theater named after M. Auezov in Alma-Ata, 1980. In the early years of theater, the directors were nominated from the actor sphere: Shanin, Kozhamkulov, Dzhandarbekov. The following writers worked on the creation of the first repertoire: Auezov, Seyfullin, Maylin. There were a lot of performances in the early period, which reflected the establishment of Soviet power: " Red Falcons" by Seifullin, "Zarlyk" by Uspanov and Uteulin; as well as the performances about the life of the old village, and the pre-revolutionary life of the Kazakh people: "Karakoz", "Baybishe — Tokai" by Auezov, " Marriage" and "Tricky Mullah " by Mailin, "Malkambay" by Erdanaev, "Torsykbay", "Aidarbek", "Arkalyk — batyr" by Shanin . In the 30-ies there was a lot of the professional Russian filmmakers in the theater (M. G Nasonov, I. B Borov, M. A Sokolovsky), the artists (K. Khodzhikov) proceeds to the formulation of the complex dramatic works: "Night rumblings" by Auezov "Amangeldy" by Maylin and Musrepov. In 1941 and 1945 there were some performances in the repertoire which were devoted to the heroic struggle of the Soviet people: "In the hour of trial" by Auezov, "Guard of Honor" by Auezov and Abishev, and "Ahan-Sir — Ak Tokta" by Musrepov, and "The Taming of the Shrew" by Shakespeare. The most significant performances of the 40-80s. was the"Friendship and Love", "Career and conscience" by Abishev, "Millionaire" by Mustafin, "Yesterday and Today", "Hard Fate" by Khusainov, "One tree is not a wood" by Tazhibayev, "Pub under the headline," "Matchmaker came" "In a foreign country" by Muhamedzhanov, "Saule", "Buran" by Ahtanov, "Poet’s Heart" by Shashkin, "An unquenchable fire" by Kabdolov, "Ascent of Mount Fuji" by Aitmatov, Mukhamedzhanov and many others. Performances are being held at the Kazakh language with the simultaneous translation.